Chenzo is an F1 hybrid variety. 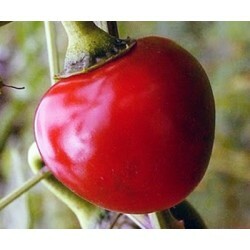 Chenzo produces up to 300 medium hot fruits per plant. The plants are dark green and dome shaped. 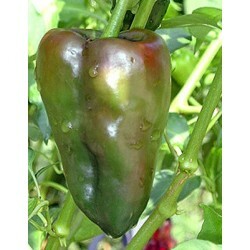 The fruits mature from green to jet black to vivid red. 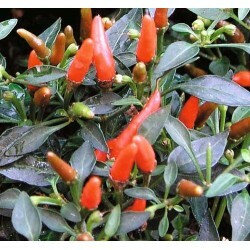 This variety has excellent cold tolerance which allows the fruits to stay longer on the plants than other varieites. 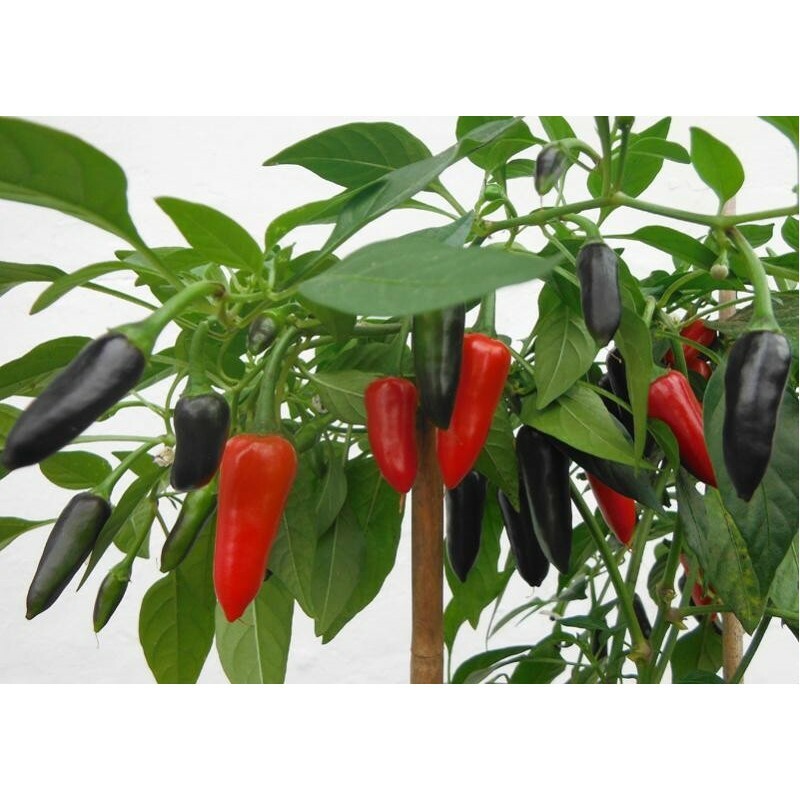 Chenzo F1 is a compact dark green leaved pepper with an elegant, arching habit and masses of fruits which hang vertically under the branches. Chenzo is ideal for the patio garden, or even for mixed container and windowsills. 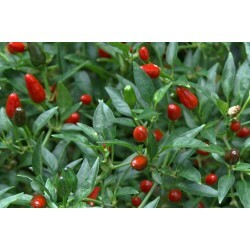 Sow the Chenzo chilli seeds about 1 cm deep into a seed tray or in small pots or cells. Cover lightly, water and place inside at between 20-25 Celsius. To aid germination, place the tray in a plastic bag. Sow January-March. Germination can be slow with some hot peppers. As soon as seedlings are large enough to handle, prick out.Transplant the seedlings into small individual pots. Use rich compost and keep the plants between 20-30 Celsius during the growing season. For best production keep the plants in the greenhouse. Regular feeding is recommended.